While studying genes in poplar trees involved in callus formation, scientists at Oak Ridge National Laboratory, were surprised to discover that plants and humans share the same genes that trigger or supress the uncontrolled growth of clusters of cells. 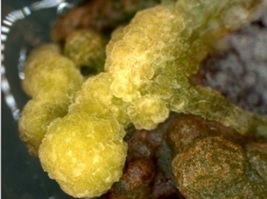 This growth forms callus in poplar trees and tumours in humans. All eight of the key genes for poplar callus formation have equivalents in humans. These same genes are associated with specific diseases, including chronic myeloid leukaemia, breast cancer, and stomach cancer. While these cancer-causing hub genes are well known, it was only by examining them in poplar trees that scientists could see the connections between the hub genes and the array of associated genes that play a role in their regulation. Humans are 99.9% identical in the DNA, while poplar trees vary wildly in their genetic material and this variation means scientists can more quickly identify the genetic variant that results in a specific phototype or characteristic. Stresses that cannot be applied to humans can be used in controlled plant experiments to verify that a gene results in a phototype. This can enable scientists to determine where to target treatment and also complement results from more traditional mice studies to improve the efficacy of new anti-cancer drugs. Three Chinese fir trees on the edge of a nature reserve are the last of their kind. Chemists were initially studying the trees bark and needles that would fall naturally from the trees for molecules to treat diabetes and obesity. This work was unsuccessful but one synthetic analog (a few minor structural changes) was a potent and selective inhibitor of SHP2, an increasingly popular target for cancer treatment. Calling the technology ‘full thickness colour’ is not something the research team take for granted. Dr Elizabeth Dunningham explains the team has been working with a variety of different dyes over six years to achieve what is now a consistent, bright and non-leaching colour suitable for anything from furniture to flooring. “Initially we focused on natural dyes that had softer hues, but they wouldn’t fix in the wood. 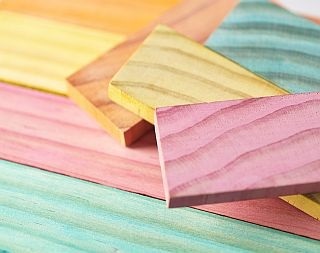 We turned to a range of commercially available food dyes, then fabric dyes, and over the first three years, looked at four types/classes of colourants and 36 individual colouring agents in all.” The research team is now looking at combining the colour technology with wood hardening technology. The added properties would make New Zealand’s soft radiata pine more competitive in a wider variety of interior applications especially uses that require higher resilience such as skirting boards and outdoor furniture. Market research results showed that the unique look of the full colour thickness wood was interesting to all stakeholders interviewed, especially those from international markets. The biggest advantage of the full colour thickness product was the unique ‘look’. Described as naturally translucent and grainy, the guaranteed consistency of this look was a positive feature, as was the ability to pre-colour wood that could create potential for increased efficiency in the manufacturing process. In the second half of 2018, Toi Ohomai Institute of Technology conducted a forest contractors business review - They did it in collaboration with the Forest Industry Contractors Association (FICA). More than 130 crews were represented, originating from a wide spectrum of operations from across New Zealand. The next business review will run from 8 - 24 February and will include several key questions shared with participants: Do contractors prefer diverse roles in their crew, or should operators be specialised? What is the general level of job satisfaction among crew members in New Zealand? 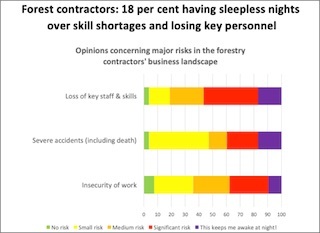 Which factors are currently driving the contractor business? What new skills are expected to come into the sector over the next five years? Forestry contractors who are interested in these questions are invited participate in a 2-minute review by clicking here. Additional information can be obtained from Toi Ohomai’s Forestry Operations Programme Manager; Richard Stringfellow (email Richard.Stringfellow@toiohomai.ac.nz). US-China Trade War-What impact for NZ log exports? The city of Melbourne gave 70,000 trees email addresses so people could report on their health and general condition. Instead people are composing love letters, sending existential queries and sometimes just bad puns.